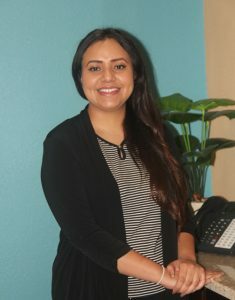 Sonia Estrada - The Legal Connection, Inc.
Born in Abilene, Texas and raised in Snyder, Texas Sonia Estrada comes from immigrant parents that instilled strong work ethic. Sonia started her education by graduating with an Associate Degree in Criminal Justice from Western Texas College in 2009. She then pursued higher education at Texas Tech University, graduating with a Bachelor in Sociology and a Concentration in Criminology in 2013. She started her legal career in April 2015 with The Legal Connection, as an expeditor, then advanced to a Sr. Case Assistant to Brenda Cardenas. Sonia is now a Case Manager. She enjoys working with her clients and putting all her training to good use on their cases. Sonia has earned her stripes, continues to learn every day, and is a true believer in providing only the best service to our clients. Sonia is the middle child of seven brothers and sisters. She is single, has no pets, and enjoys crafting and reading documentaries.